You can always count on a blue dress. This color suits almost any skin color. 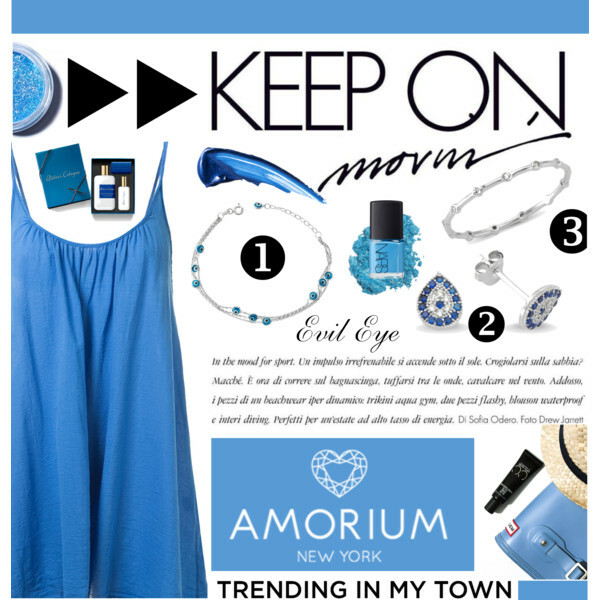 I personally use blue for different occasions, starting from casual and everyday walks to special formal events. 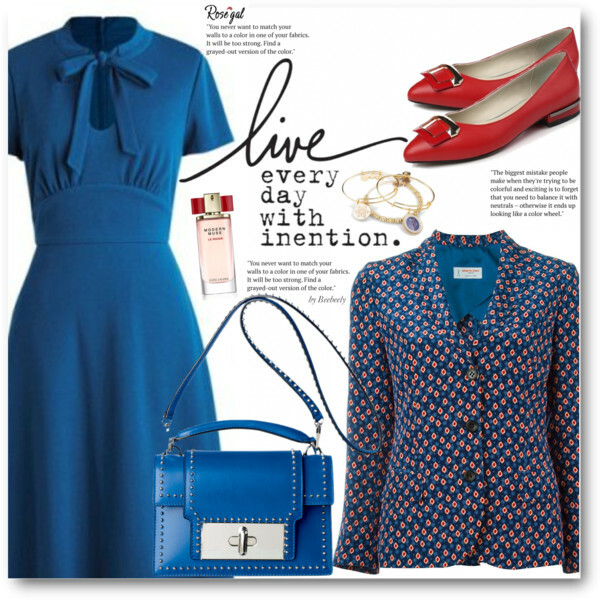 That’s why the blue dress is considered to be a versatile piece of clothing. 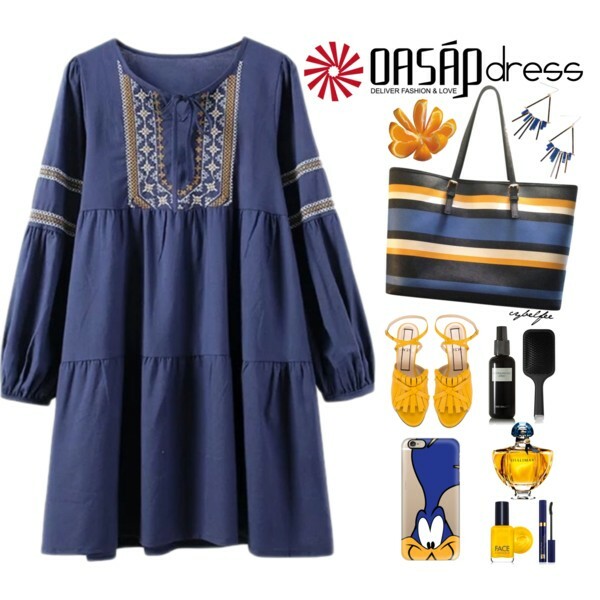 In today’s article, I want to show you different styles of blue dresses. I gathered 16 ideas how to wear them this year, so I am pretty sure there will be no problem for you to get inspired by these beautiful clothing combinations. 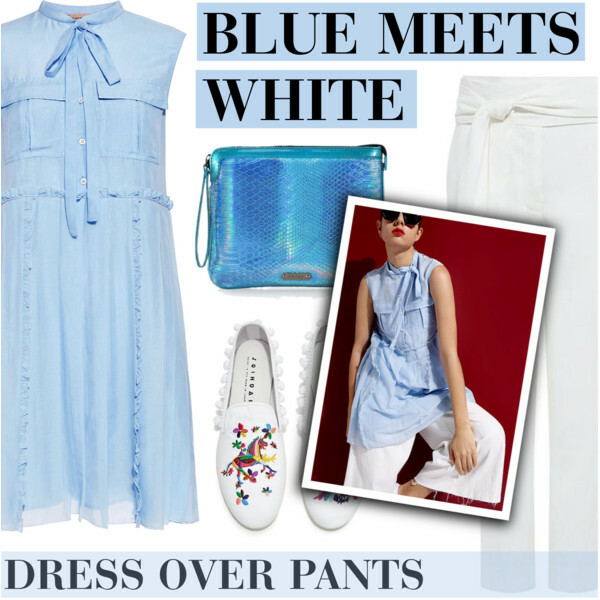 If you want to wear a girlish and fresh outfit, then I recommend giving a try to this eyes printed sleeveless shift dress in pastel blue color. Complement it with platform heeled black suede booties and glamor envelope clutch bag.